Quetta: Balochistan Awami Party (BAP) is leading polls by winning 12 seats in Balochistan assembly. Muttahida Majlis Amal (MMA) and Balochistan National Party (BNP) are the runners-up. Returning officers released results of constituencies throughout the day. BAP proved to be the front-runner in Balochistan Assembly by winning 12 seats. MMA and BNP-Mengal won 7 seats each and PTI and independents won 4 seats each. On National Assembly, MMA is the front-runner by winning 5 seats. BNP-Mengal and PTI managed to secure 3 seats and BAP won 1 seat in the lower house of parliament from Balochistan. The biggest upset of the election in Balochistan was the defeat of Pashtunkhwa Milli Awami Party (PMAP) chairman Mehmood Khan Achakzai from two National Assembly constituencies. From NA-265 Quetta, Qasim Khan Suri of PTI and from NA-263 Qilla Abdullah, Salah ud Din of MMA defeated Achakzai. Sarfraz Bugti, the outspoken former Home Minister of Balochistan, lost from PB-10 Dera Bugti to Gorham Bugti of Jamhoori Watan Party (JWP), who is the grandson of late Nawab Akbar Bugti. Nawaz Jangez Marri, the son of Late Khair Baksh Marri, lost PB-9 Kohlu to Naseebullah Marri, a lesser known candidate of PTI. Sardar Yar Muhammad Rind, provincial President of PTI, won both seat PB-17 and NA-260 from where he was contesting elections. Former Chief Minister Balochistan Nawab Sanaullah Zehri is contesting polls from PB-38 and the result was not accounted by the time of filing of this report. More than a dozen constituency final results were pending even after 27 hours of the end of voting time on Wednesday. Political party leaders and candidates protested the delay in issue of Form-47, final result of individual constituencies. Sardar Akhtar Mengal, President of BNP-Mengal tweeted that “Results for Bela Gwadar Panjgur Awaran Washuk Kalat Surab Mastung Khuzdar Quetta NA 265 have still haven’t been announced 24 hours after elections.” Mengal has won from PB-40 and NA-269 Khuzdar but the result of NA-272 Lasbela-Gwadar is still pending from where Mengal is also contesting. 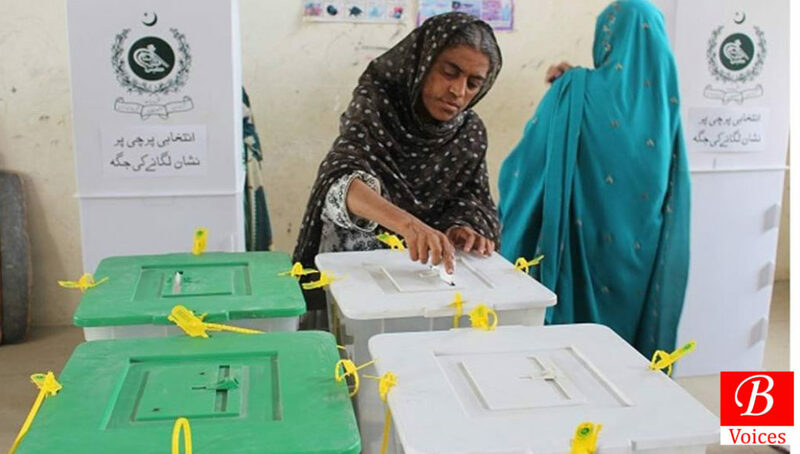 “Delaying the release of final results of PB-44 has been done to select a candidate of their choice,” Alleged Mahboob Ali Advocate an Independent candidate from PB-44.